There’s nothing like the joy of finding out you’re pregnant! Except, maybe, when you’re also getting ready to move. Along with possible nausea, fatigue, and the other stresses of pregnancy, moving when you’re pregnant means you’re also now faced with the additional stress that comes with coordinating this move. Don’t try to do it alone! Getting established with a doctor in your new city or town should be your first priority. It can take weeks or even months to get a doctor as a first-time patient. You don’t need that extra stress while moving when you’re pregnant. Research local hospitals and doctors in the area. Once you’ve found a few hospitals and obstetricians/gynecologists that meet your criteria, call and schedule an appointment as soon as possible. You could also ask your current doctor if he or she has any recommendations or knows of any good doctors who practice where you’ll be moving. Once you have made an appointment, be sure to call your current doctor to let him or her know that you’re moving and ask to have all of your medical records sent to your new doctor. Even if your pregnancy is going smoothly, you should never test it out by doing any heavy lifting. 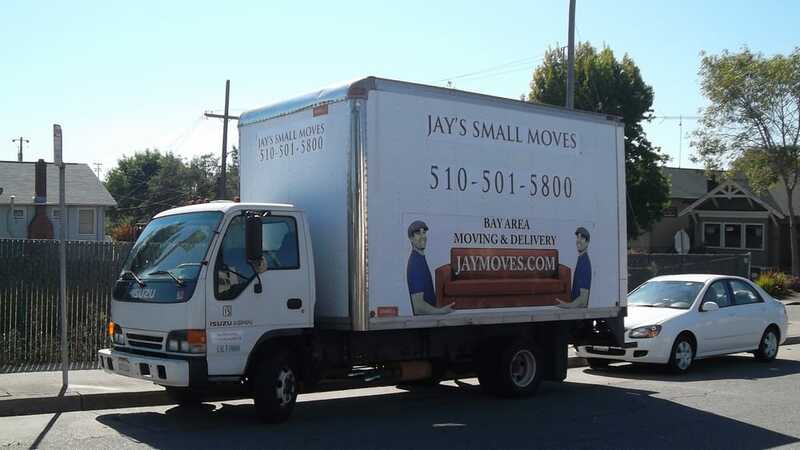 Unless you have an in-house team of bodybuilders at your disposal, you’re going to want professional movers. Ask for recommendations for moving companies from friends or co-workers. Then, call those companies and make an appointment. You’ll want them to conduct either an in-home or video inspection of your belongings before giving you a quote. Once you’ve made the right choice, be sure to pick a moving date and time that works for everyone involved. It’s so tempting to go out and load up on all those adorable baby supplies. But unless your baby is set to arrive shortly after moving, your best bet is to wait until after the move to purchase baby supplies and nursery furnishings. First, you’ll save money. The overall cost of your relocation will be based on either the weight of your things or the number of hours it takes to move them. Less stuff equals less weight and less time. Second, by waiting to purchase baby supplies, you’ll spend less time packing and more time doing the things you love in the remaining time you have in your current home. Plus, once you move into your new home, you’ll be able to more realistically assess what you need for the new baby. As soon as you know you’re moving, start packing. It’s going to be in your best interest to do a little bit of work every day. That way you won’t be completely stressed out the week before the big move. You can start by packing things you won’t need for a few weeks such as extra dishes and cups, spare linens and towels, and clothes for another season. While you’re doing so, label each box with its corresponding room so the movers will know what goes where on moving day. This will decrease stress. And if space allows, have someone move them by the front door. That way they’ll be there when the movers arrive. Remember, you’re allowed to move light things, like clothes and toiletries. But do not move anything heavy. Even if you’re feeling like you can. Yes, this is tough when you’re moving. It’s even more so when you’re moving when you’re pregnant. But when it comes to both your health and the health of your baby, it’s really important that you try your best to reduce stress and anxiety. Keep cortisol levels low by doing daily walks, yoga or any light exercise you prefer. Get involved with a good book. Take your mind off the move by socializing with good friends. Treat yourself to a prenatal massage at the spa. Aim for at least eight hours of peaceful, uninterrupted sleep every night. With moving comes cleaning. A lot of cleaning. Take caution when using cleaning supplies, as they may include harmful chemicals. Always wear gloves when cleaning anything, from dishes to countertops to walls. If available, invest in cleaning supplies with all-natural ingredients that do not include parabens, sulfates or formaldehyde. Avoid ammonia and bleach completely. Whether it’s friends, family or neighbors, try to recruit as many helpers as possible. They can help you with the mundane tasks as you prepare to move and give you some time to rest and take care of yourself. You could even make it a party. Have boxes and moving supplies on-hand and assign friends to various rooms. Cue up the music, offer guidance on what goes where, and let your friends do the rest. Have some refreshing beverages on hand for a job well done. Moving when you’re pregnant is both emotionally and physically demanding. If all of the tasks and to-dos start to feel too overwhelming, take heed. Your body has the wisdom to determine what you’re able to do. So if you’re up for packing up that fifth box, then go on ahead. But if you feel like taking a nap, lie down. If you’re thirsty, be sure you drink plenty of water. If you’re dizzy, sit down. And if you’re hungry, eat! Know your limits and avoid pushing yourself too much. Moving When You’re Pregnant? Let Us Help! Moving when you’re pregnant will go much more smoothly when you prepare, take care of yourself, understand and honor your limitations, and turn to those who can help. And remember that hiring professional movers can make all the difference in making the move as stress-free as possible! When you’re ready to go, contact us to learn more!